I was in London a few weeks ago. 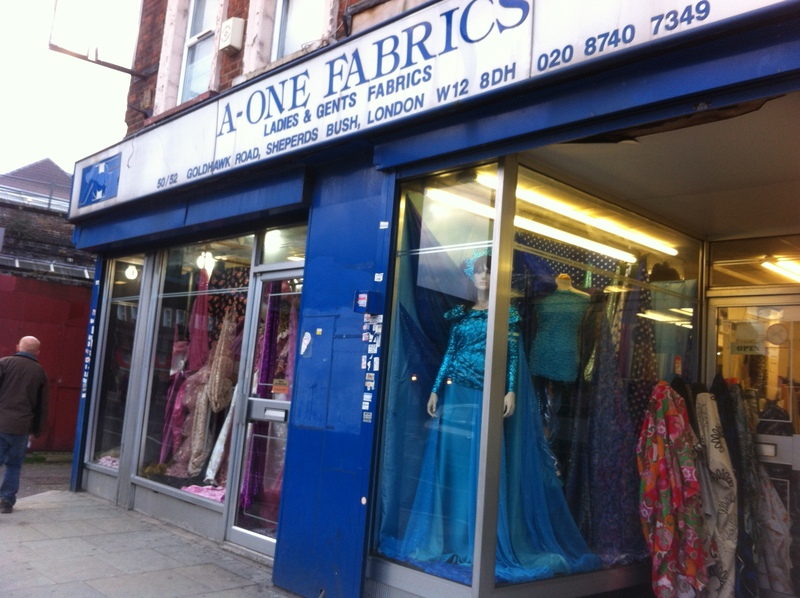 My friend Mary has kindly decided to live very close indeed to cheap fabric mecca Goldhawk Road so I have a mosey nearly every time I’m over. I can’t recommend Goldhawk Road enough. 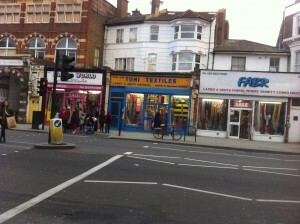 There are 14-15 shops along a small stretch of road. Bargaining is encouraged (although if I’m honest I don’t always do it – laziness often wins out versus the potential 50p reward). I tried to ask what each of the fabrics were as I went – good to learn these things. Also aiming to stop saying “uh…. I think it’s eh… some kind of viscose…” on the blog – although don’t hold your breath on that happening any time soon. 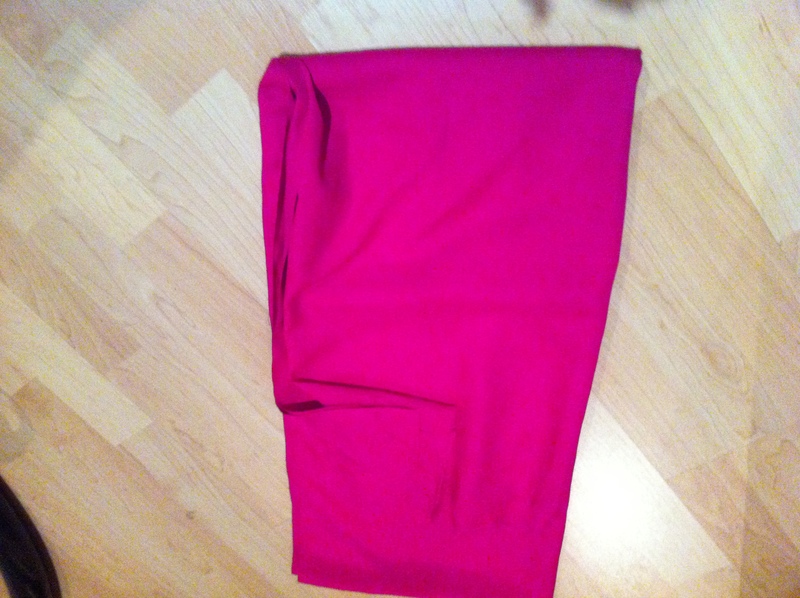 This one is a pink “polyester crepe” and was £3/m in Fabric World. The colour doesn’t really come out in the photo – it’s very vibrant, almost neon. It’s very fine – I’m thinking blouse or dress. These are “print cotton mixes”. Cotton mixed with what I hear all (3) of you cry… Well I don’t know because I didn’t press the issue and got distracted. 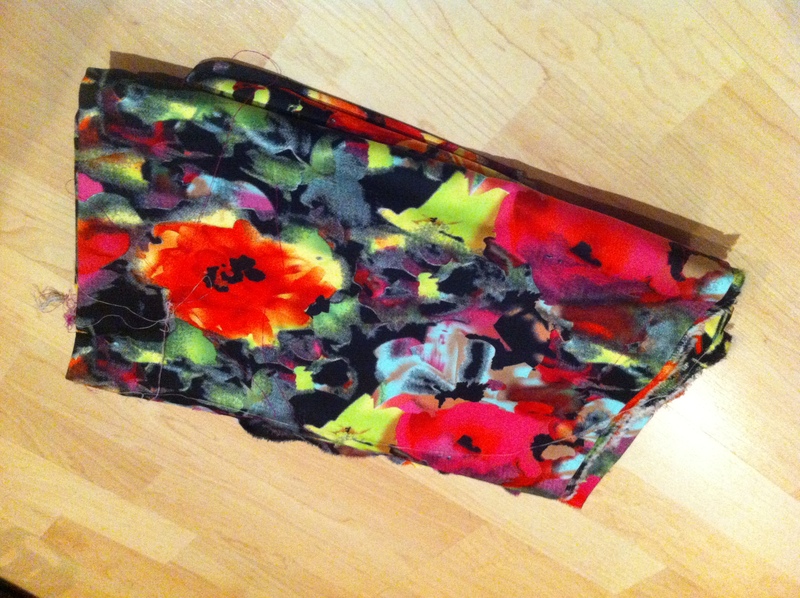 They’re both the same kind of fabric – fairly stiff with a bit of stretch – very nice to work with. 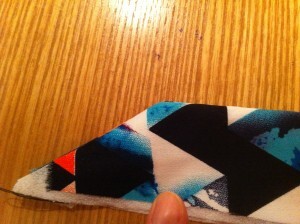 I’ve started making a dress with the triangular print (of which more to follow – hence the zoomed in photo). 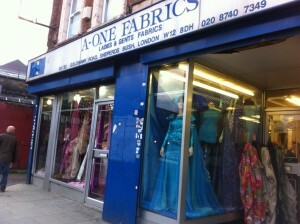 They cost £8/m in A-Z fabrics and I got them for £7/m because I got the 2 bits. These stretch prints were £4/m from Fabric House. The darker one is a cotton mix and the pastel/gold one has never met a natural fibre. 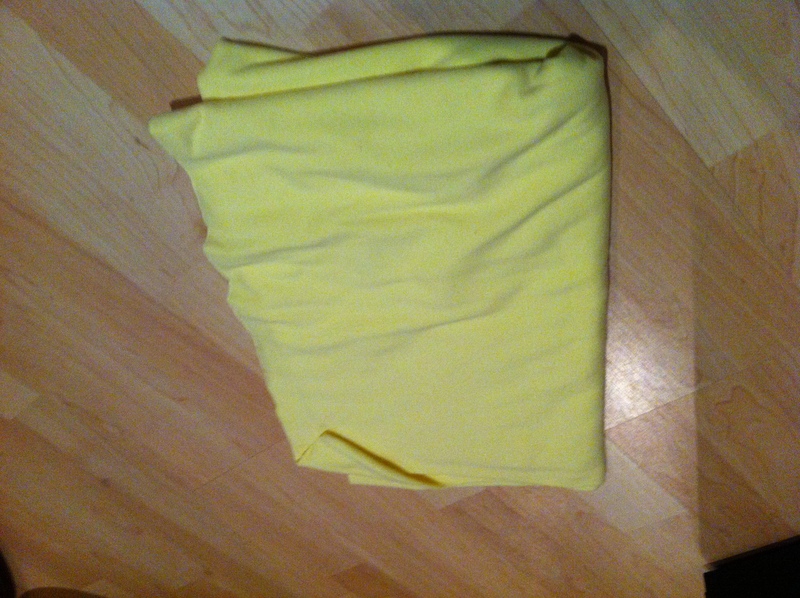 I’ve actually used this type of fabric before and it’s surprisingly comfortable (and not particularly clingy which can be a big problem with man-made fabrics). 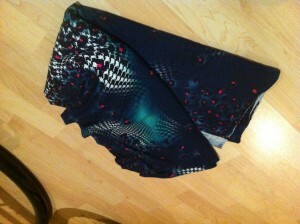 My plan is to make a t-shirt tress in the dark print ASAP and something summery out of the other one. 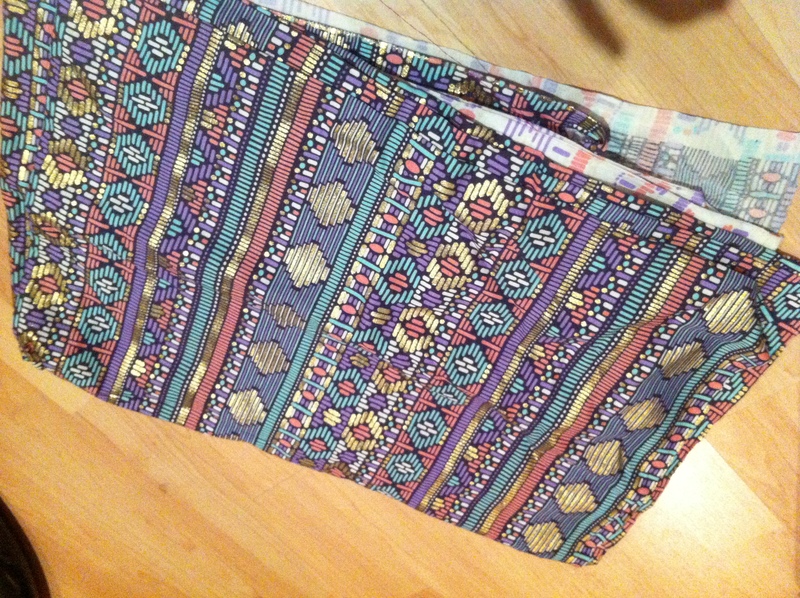 Now all I have to do is find somewhere to put it all or drastically increase my sewing output. Easy. This entry was posted in London, Shopping, The Stash, Where to shop by Aoife. Bookmark the permalink. thanks for all the tips, planning a day trip at some stage soon hopefully to stock up! Looks like you got some great bargains.